Manufactured from modified starch, Pellet Bond provides a high quality all-natural binder and die lubricant for pellets, crumbles, cubes, range blocks, and pet foods. No longer do you have to use unpalatable and hard to handle chemical binders—which are sold as by-products to the feed and pet food industries. Now there’s a better solution which has been tested and proven successful. Many feed plants and mills have already switched to this new and exciting product. High Quality Pellet Bond is an all-natural, high quality binder manufactured at a food-based modern plant from modified starch producing a consistent functional binder. All Natural Manufactured by an all-natural and environmentally safe process, Pellet Bond has no added chemicals— producing a safe palatable binder for all animals, pets, poultry, and aquaculture. Very Palatable Pellet Bond is the most palatable and acceptable binder for all animals as compared with many of the lignin binders marketed which contain chemicals that are bitter and very unpalatable to many animals. Tested Successful Modified-starch based binders have been tested and proven at a major university as well as many feed mills with a variety of formulations. 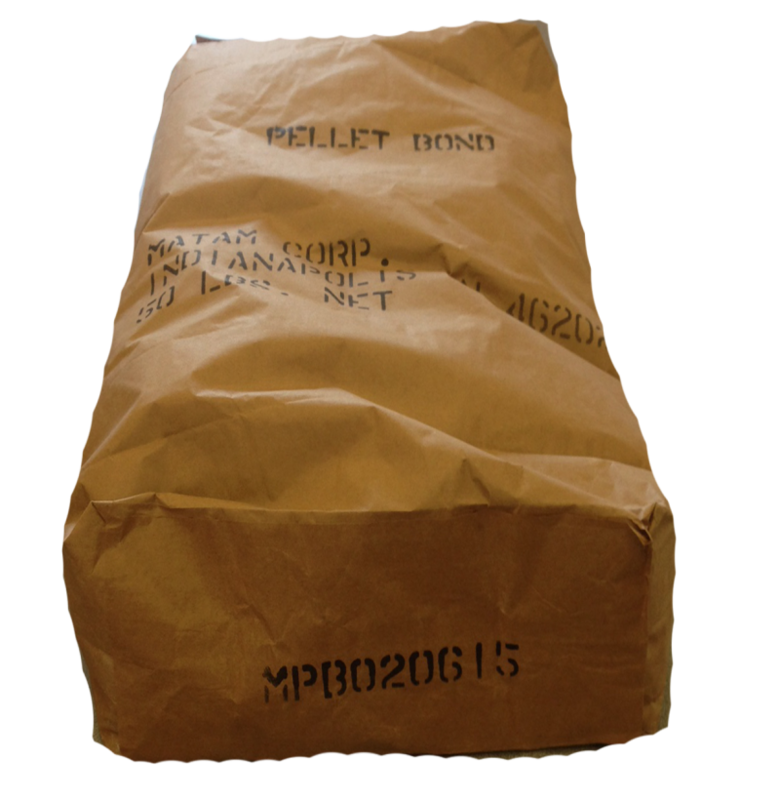 Low Inclusion Rates and Flexible Pellet Bond is a low inclusion binder typically added to the ration at 8-14 lb per ton. These low levels reduce ration costs and allow more flexibility in ration formulation. This also minimizes ration energy and nutrient dilution to the animal. Safe, Free Flowing, and Easy to Handle Why expose your mill employees to dusty and hard to handle pellet binder when there is a better options? Pellet Bond is safe, flows, and handles easily—without the offensive odors associated with many binders. This binder is available in 2000 lb totes as well as 50 lb bags. MaTam Inc. is committed to providing technical and nutritional service as well as helping our customers manufacture high quality and safe finished products.